The 1991 Corvette ZR1 was the second time that the ZR1 designation was used. The ZR1 moniker has become synonymous with supercar rivaling performance. The 1991 version of the ZR1 was the car that started this image. In making the ‘91 ZR1, GM did something that they hadn’t done before (or since) to a Corvette. The new 2019 Corvette ZR1 is the ultimate American sports car. The 755 horsepower supercharged V8 powered performance machine is capable of a top speed of 212 mph in coupe form. 0-60 mph can be hit in under 3 seconds and the ZR1 starts at $119,995. Of course the very first example of the 2019 Corvette ZR1 will likely fetch a bit more than that. As American as apple pie, the Chevrolet Corvette has been the dream of both the young and old for years. Since its humble beginnings in 1955, the Corvette has been the go-to sports car for middle class America. Known for its style, speed and value Chevy’s Corvette has been a prized possession of many collectors and remains a constant in popularity among many generations. For those with a fatter wallet, get ready. It is rumored from many reliable sources that an all-new Corvette is just around the bend. Some may recall last year’s sinkhole disaster where 8 vehicles were damaged at the Corvette Museum in Bowling Green, Kentucky. One of these victims was the original prototype of the first-ever supercharged Corvette, namely the “Blue Devil.” Constructed in 2008, this supercharged sports car was the very first of its kind and miraculously emerged from that 30-foot pit nearly untouched. Things are looking a little brighter in the Corvette world. Back in February, a sinkhole devoured 8 Corvettes from the National Corvette Museum. Motion detectors notified museum personnel where they found a hole measuring 45ft wide, 60ft long, and about 30ft deep. The first car out of the hole was a ZR1, nicknamed “Blue Devil” that was on loan to the museum. It was one of two show cars to introduce the new 2008 Corvette. It took 6 weeks for the restoration, which included a cracked windshield, passenger front panel, bent rear control arms on the driver side, and cracked oil lines to the supercharged LS9 engine’s dry-sump oiling system, and was on display at the SEMA show before heading back to the museum in Bowling Green, KY. Starting next year, two other cars will be restored (a 1962 and the one-millionth) but the rest will be left as is to preserve historical significance and will be on future display at the museum. You probably remember all those Corvettes that fell into a sinkhole at the National Corvette Museum. Well, all of the cars have been removed and three of the eight cars will be restored. The three cars are a 2009 Corvette ZR1 Prototype, also known as Blue Devil, the 1-millionth Corvette ever made and a 1962 ‘Vette. The restoration of all three cars will be paid for by General Motors. 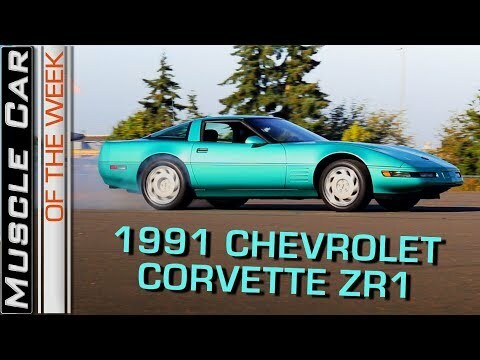 The 2009 ZR1 and 1-millionth car (a 1992 white convertible) will be restored by Chevrolet. The 1962 car will have the restoration overseen by the museum. But, you may ask, what will happen to the five remaining cars? They will be kept unrestored and put on display as historical reminders of the sinkhole. Below is a list of the cars that won’t be restored. What do you think about not restoring all of the cars? Let us know your thoughts in the comments.